“Brendan’s Death Song” is the fourth single from the band’s album I’m With You, which was released by Warner Bros. Records on August 29, 2011. The video, directed by Marc Klasfeld (Foo Fighters, Jay-Z) was shot in New Orleans, Louisiana and is homage to the band’s long time friend Brendan Mullen. Mullen is best known as the founder of the Hollywood punk rock club The Masque that he set up and ran from 1977 until it was shut down in 1978 due to the city’s refusal to issue the necessary permits to run it as a legal nightclub. After it’s closure, Mullen spent many years booking shows for Club Lingerie. It was during this time he met Anthony Kiedis and Flea and after hearing their demo, Mullen offered them an opening slot on a Bad Brains show. The Red Hot Chili Peppers credit him as one of their first major supports and giving them their start. Through his support and the many nightclubs he worked out the scene gave birth to not only the Red Hot Chili Peppers but bands like The Go-Go’s, X, The Weirdos and The Germs. 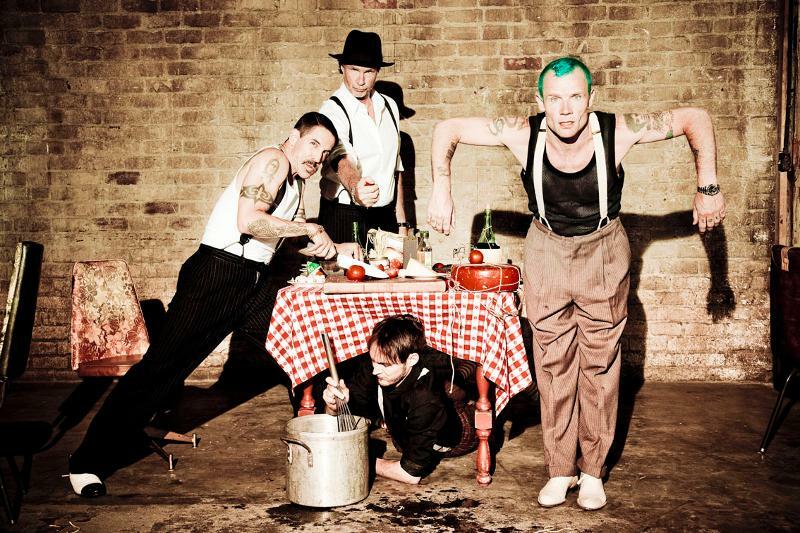 One of the most successful acts in rock history, Red Hot Chili Peppers, which is singer Anthony Kiedis, bassist Flea, drummer, Chad Smith, and guitarist Josh Klinghoffer, have sold more than 60 million albums, including five multi-platinum LPs, and won six Grammy Awards, including “Best Rock Album” for Stadium Arcadium, “Best Rock Performance By a Duo or Group” for “Dani California,” “Best Rock Song” for “Scar Tissue,” and “Best Hard Rock Performance With Vocal” for “Give It Away.” The band was inducted into the Rock and Roll Hall of Fame in April 2012. The Red Hot Chili Peppers are currently on a world tour and selling out arenas around the global in support of I’m With You.